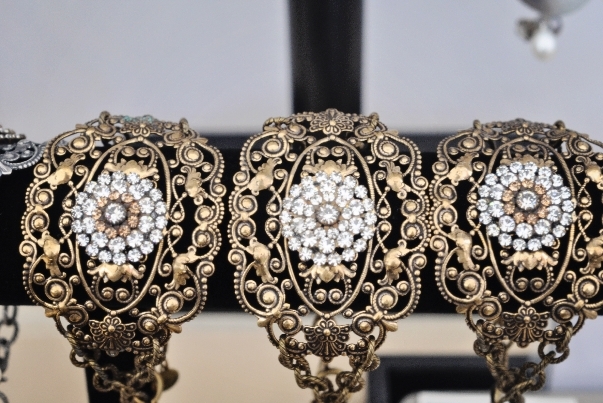 Vintage flower filigree encrusted with Swarovski crystals. Some broches are made with fabric flowers. Necklace is strung with vintage filigree ball chain and pearl chain.